City of Kaunas in Lithuania defends the operator of a former concentration camp where recreational events are held. 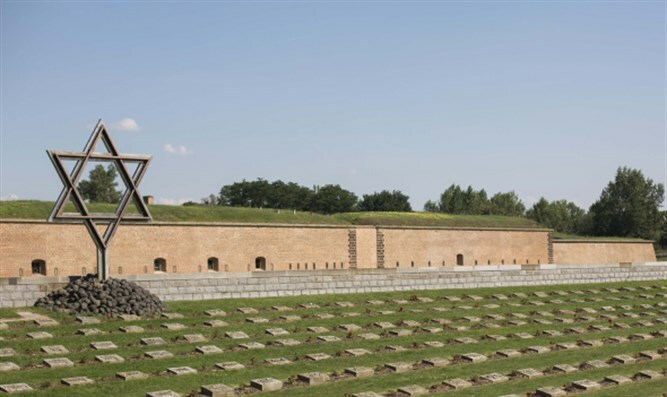 The city of Kaunas in Lithuania defended the operator of a former concentration camp where recreational events are held near the graves of thousands of Jews killed by Nazis and local collaborators. Deputy Mayor Povilas Maciulis made his defense of the Seventh Fort this week following an article published last month by JTA about summer camps, barbecue parties, treasure hunts and camping activities there. In 2009 the city privatized the site, which is run by a nongovernmental organization, the Military Heritage Center, headed by 37-year-old amateur historian, Vladimir Orlov. “Yes, there are activities carried out in the museum, however, they are exclusively educational and pertaining to the museum’s purpose,” Maciulis wrote in a statement that he sent to several people a few days after the Israel director of the Simon Wiesenthal Center, Efraim Zuroff, asked the mayor to intervene to have festivities banned from the Seventh Fort – a former military complex that was turned into a camp in 1941. During a July 12 visit to the Seventh Fort, JTA documented children playing and dancing near the barbecue corner at the entrance to the camp. Asked whether one could have a wedding reception at the site, Orlov told a JTA reporter: “This is not a problem, it sometimes happens here,” and said he would send a price quote in an email, which never arrived. Zuroff and the Lithuanian novelist Ruta Vanagaite independently confirmed the holding of recreational activities at the Seventh Fort in a Lithuanian-language book they coauthored and published earlier this year. Following the JTA expose, the news portal Lrytas published photos of a camping activity on the grounds. Orlov said a mass grave for those who died at the camp – which is commemorated only by a pole -- accounts for only 2 percent of the camp and that no festivities are held there. According to the book by Zuroff and Vanagaite, Orlov exhumed bones found on the premises that had been reburied there in 2014 with help from the Jewish Community of Lithuania. The community said in a statement that it has complained to authorities in the past about the absence of commemoration and the festivities. According to a 2011 report by the Delfi news agency, Orlov has received European Union subsidies that make up part of a $160,000 budget for maintaining the Seventh Fort. In the interview with Orlov, the city said it had “made a resolution to put in order the place of the Jewish massacre at the Seventh Fort” and that “this autumn the stairs will be arranged close to the mass grave, a place to have a seat and rest.” A “memorial stone will be erected in the location,” it added. The failure to reply to his letter, he said, is indicative of a larger lack of motivation on the part of authorities in Lithuania to commemorate Holocaust victims seriously.